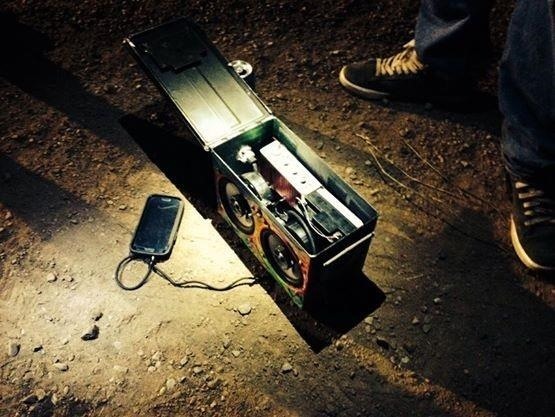 Believe it or not, an ammo box can still be of use to you once its rounds are gone. 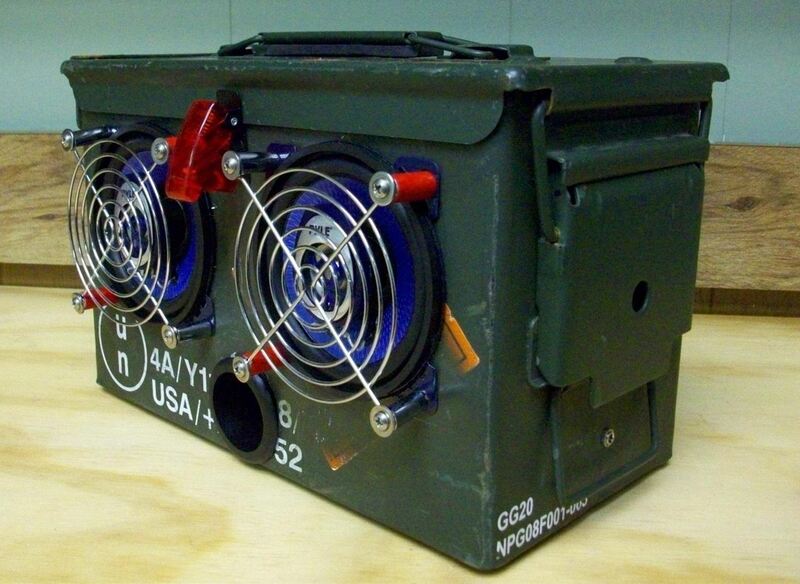 You can use it for storage, as a toolbox, or possibly even as a Faraday cage. 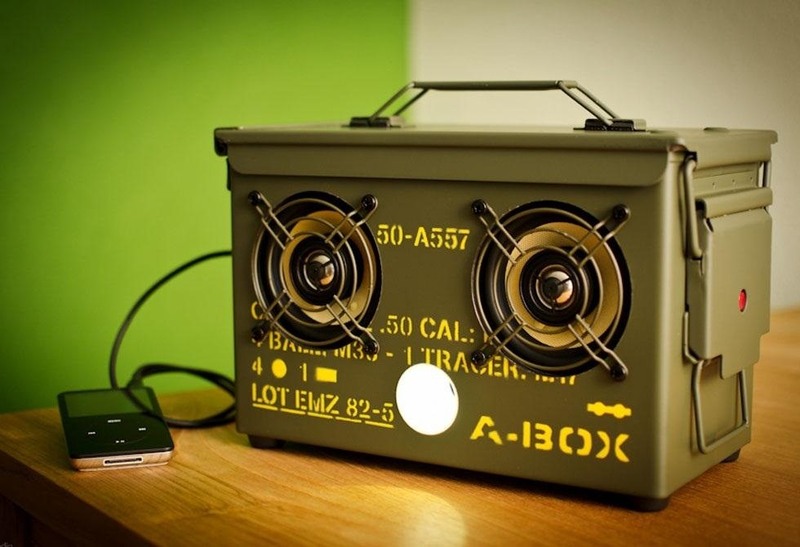 But if you want to use it as more than just a container, why not turn it into a portable set of speakers that you can take with you anywhere? 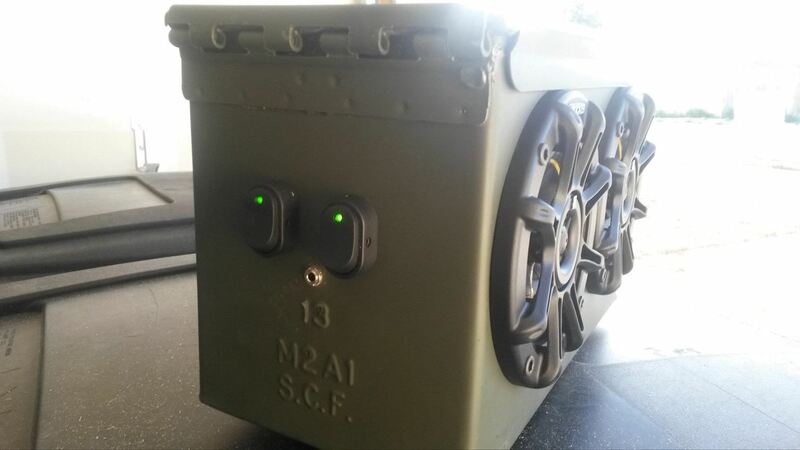 The ammo can speaker pictured above was made by Instructables user Dustin White. He started with an empty .50 cal box, though you could probably even use thinner 5.56 or 7.62 mm cans. 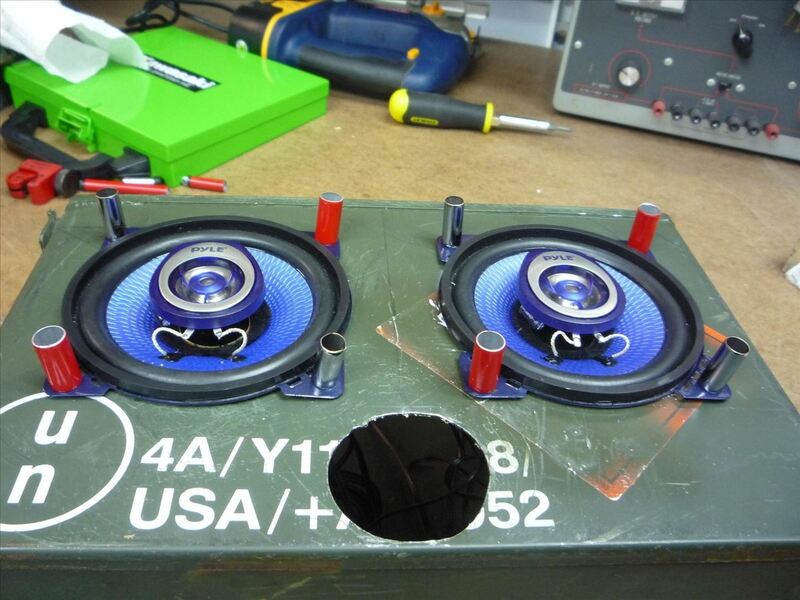 He removed the plug for the power supply, and cut holes for two 4-inch speakers. Then, he added the audio jack and mounted the speakers, using a foam egg carton for sound insulation. Below, Zach (Vacca Rabite) over on 914World used a German can that was a little bit bigger than the standard NATO 7.62 ones. 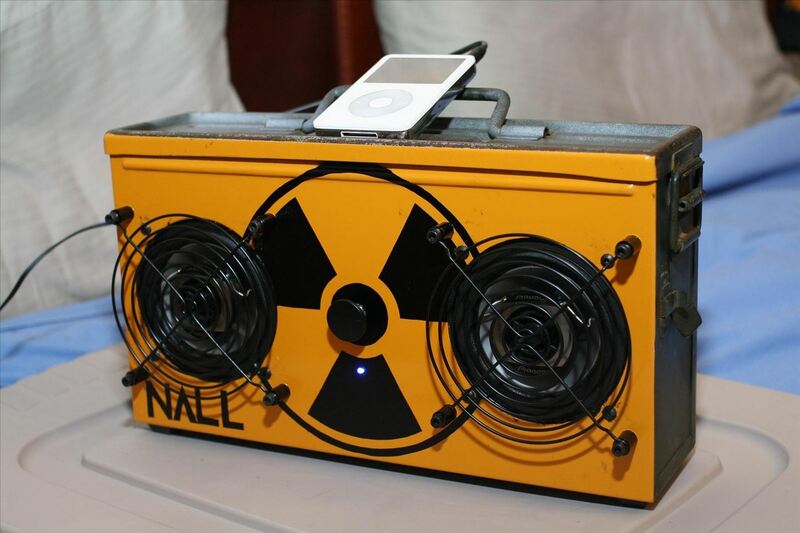 He stenciled on the design and put the volume knob right in the middle of the radiation symbol. Want something a little bigger? 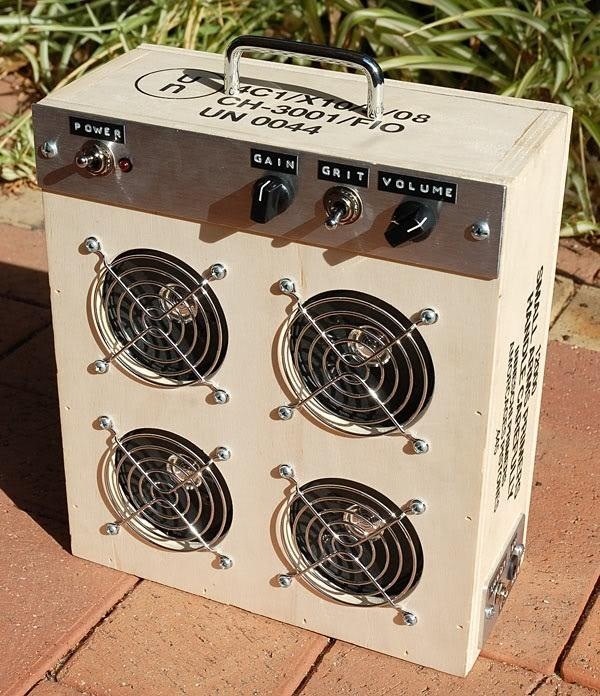 Try the Quad Ammo Box Speaker by Laika on DIYStompboxes that's powered by a Ruby Amp and enclosed in not an ammunition can, but a wooden crate that housed small arms primers. 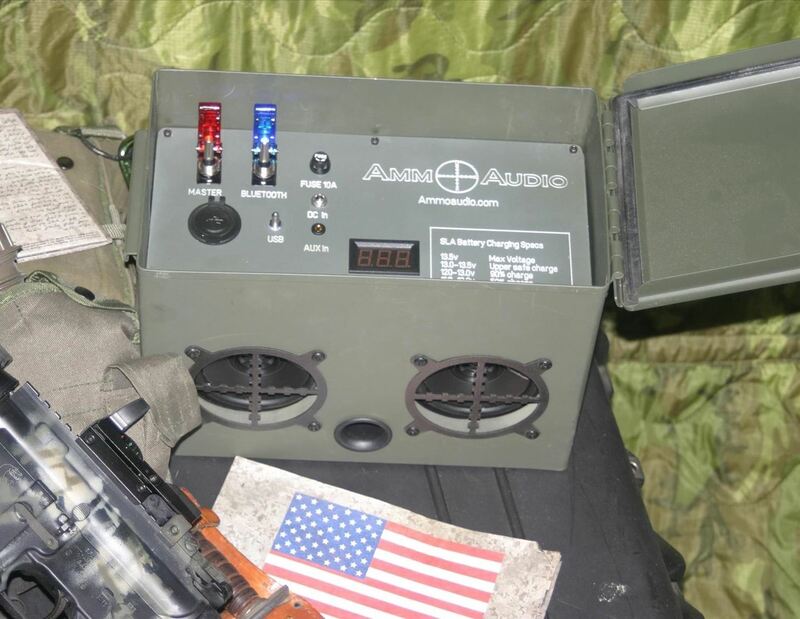 Or, if you don't want to make an ammo can speaker yourself, you can always buy the Thodio A-Box that the original project was inspired by. But beware, these aren't cheap. They run from $320 to $450, so you're better off making your own. 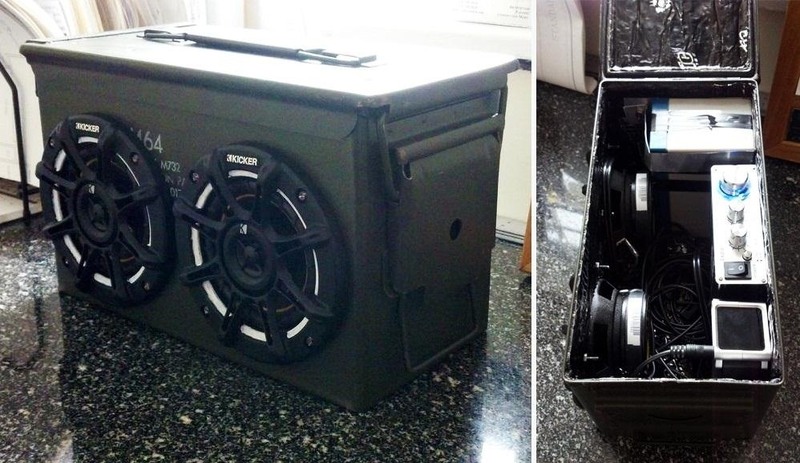 Have you built a speaker system out of an ammo box? Show us! How To: How to Make It to a High Round on Call of Duty Black Ops Ascension Map First Strike. 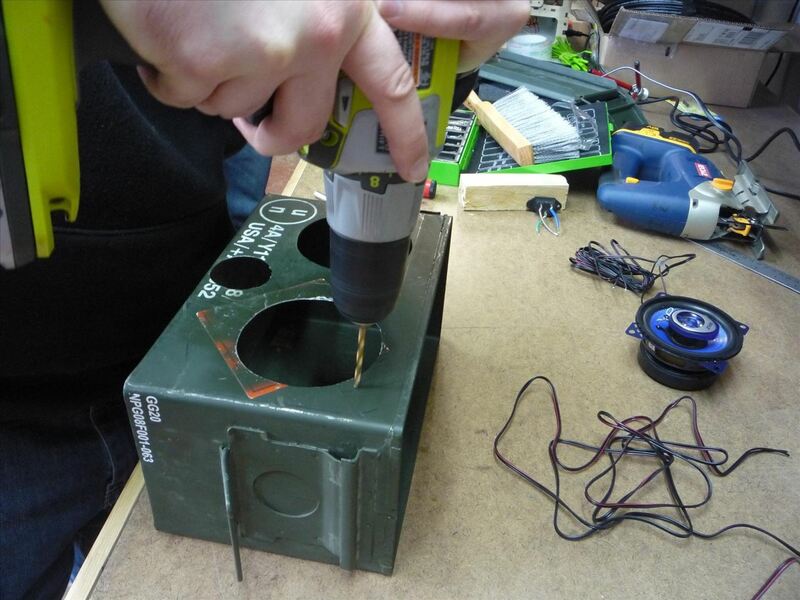 I did something like this about 40 years ago, using ammo boxes left over from WW2. 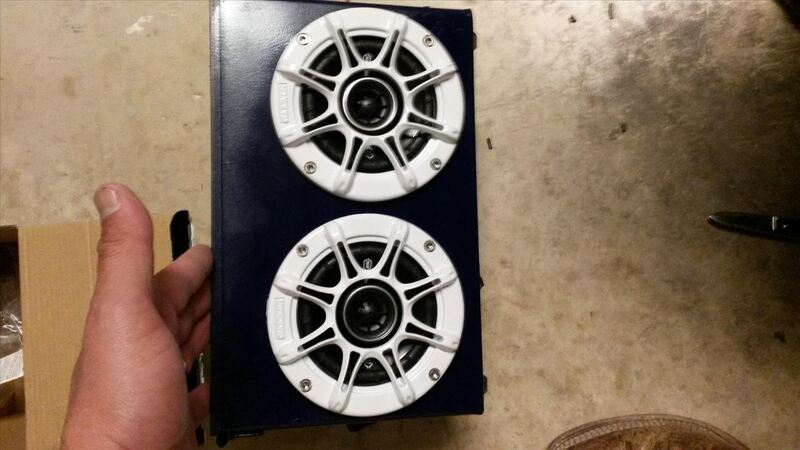 Each box had a 2" tweeter and combined 8" mid and woofer with homemade crossover. Later I made better boxes using the same speakers which are still functioning. 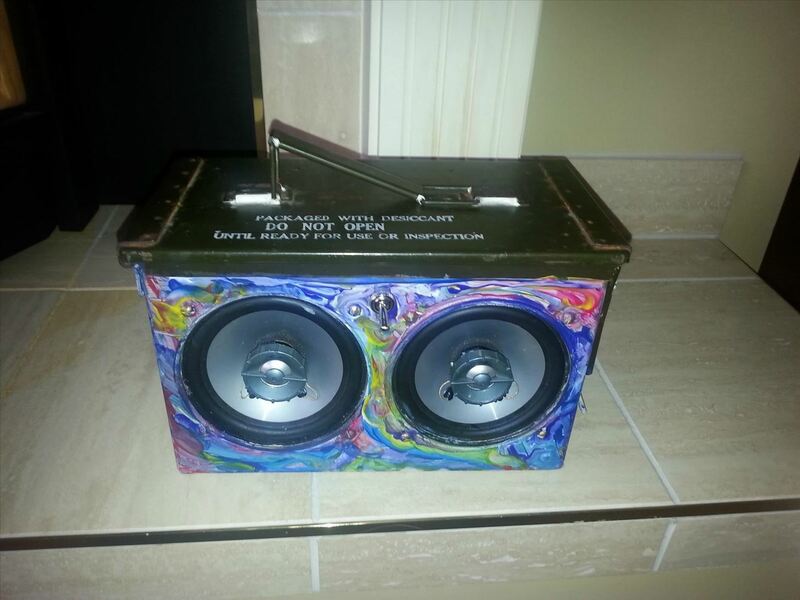 This speaker is awesome. Amazing job! I want to make one but that is literally portable. What battery and charging system should i get for it. I assume everything else will be the same. If you know some good stuff on amazon, please leave me a link. Thank You! For complete portability, I'd say use a small motorcycle battery, and a battery tender permanently hooked up to the terminals. Then run the power plug outside the can and you can keep it plugged in when not in use to ensure a full charge. 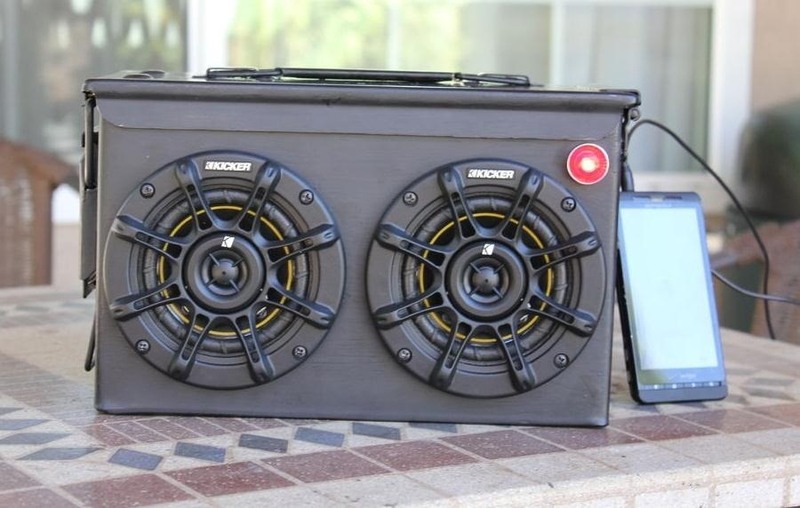 That's awesome reminds of something I did 20 yrs ago with battery charger and car stereo head, amp, big azz kicker box. instant home stereo. Nice builds guys! We just launched AmmoAudio.com and our first product is the AmmoCan X (includes 2 USBs, killer pilot switches, bluetooth, aux in and 30+hrs battery life, but it's heavy!). We also take the time to build and mount a sealed MDF speaker box in the can so that the sound is crystal clean and has a ton of power :-) Hope you guys like it! I have been making these ammo boxes for a while now and I really enjoy doing it. They sound great and they are easy to tote around. 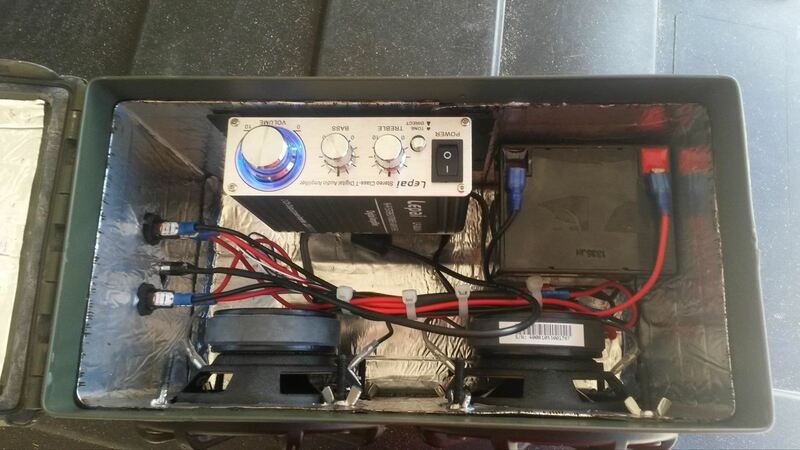 I use a typical motorcycle amp, 4" kicker speakers and a 5ah battery to power it. There is two lighted toggles on the side. One of the toggles powers the amp on and off, and the other toggle turns on the ambient led lights that I have installed on the bottom of the box (not need, but a cool extra feature). I have since started to personalize them just because. see picture below. Thanks. Gabe - great design and nice clean assembly. Couple questions: How and with what is the inside lined? How do you charge the battery? Sorry about the looong response time Drew. The material on the inside is actually called tar paper. It can be found at Home Depot and it will be in the roofing area. 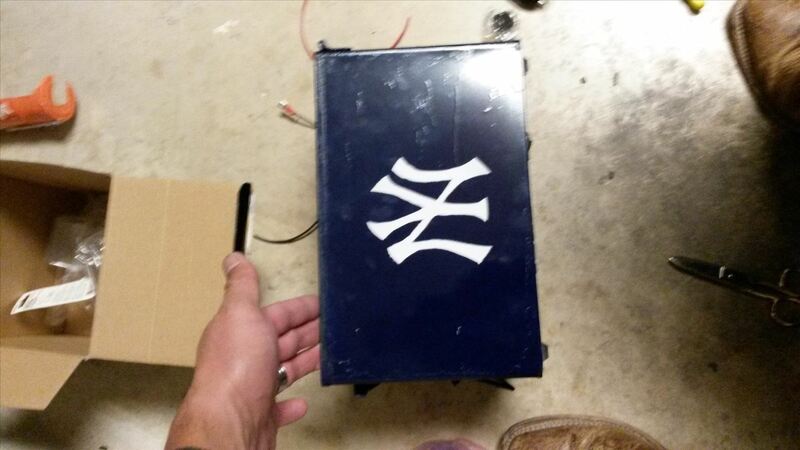 I charge the battery with a simple 12 volt charger than can be found at any hobby stores where model trains are found. Hope this helped.